The Union of Students in Ireland (USI) is today encouraging homeowners to rent their spare rooms to students during the college term can avail of €14,000 tax-free a year from a rent-a-room relief scheme available. USI are launching the Homes For Study campaign with a free website, homes.usi.ie, as new findings from the Union show 1 in 10 students are living in digs style accommodation. Speaking at the launch, USI President Michael Kerrigan said, “According to our study, 66% of students living in digs are satisfied with their arrangements. Digs are becoming a real affordable and viable alternative accommodation because of the rising cost of living in the private rental sector, and on campuses. We want to match students with a home to study in, and house as many students as possible as a quick and short term solution to the student accommodation crisis”. Mr Kerrigan went on to say, “We are urging anyone with a spare room to sign up for digs at homes.usi.ie. Using homes.usi.ie is a win-win for homeowners, especially for parents whose children have flown the nest, or who are attending college the other side of the country. The average cost of college is €12,500 and leasing out a room to a student will greatly help with this cost, as you can make up to €14,000 annually tax-free. The process takes less than five minutes to complete on homes.usi.ie, and you can help take the pressure of students trying to find accommodation that goes beyond their monthly income”. Findings from USI indicated that 59% of students choose accommodation because of proximity to college, and based on the reasonable costs of accommodation. With 75% of students paying for their own accommodation during term time, USI sees digs has a remedy to the high cost of living for students. NCAD student Sam Casey said, ”Living at home is just too far from campus. It was extremely difficult in final year transporting materials for college. I looked for accommodation near college, but it was just too expensive, and too hard to find anything because of the student housing crisis”. 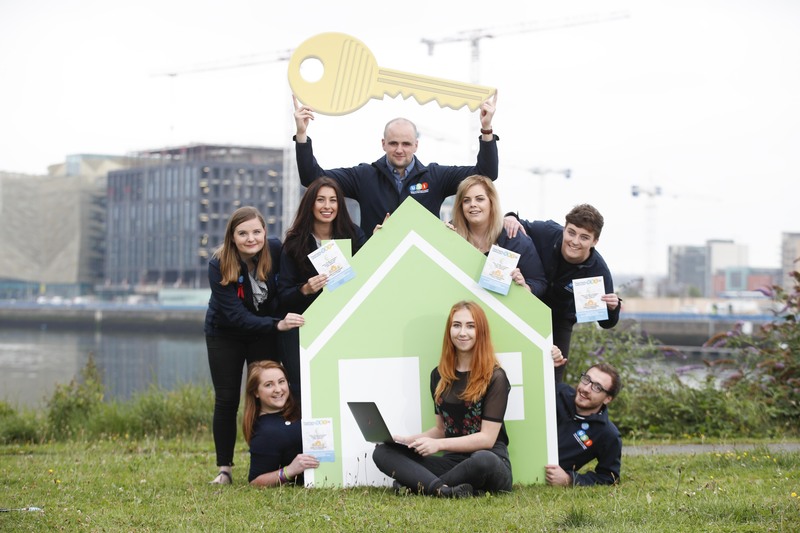 The National Student Accommodation Strategy published last week allocated €160,000 to USI’s Homes For Study campaign and website homes.us.ie. The Strategy identifies the importance of providing dedicated and additional student accommodation to avoid putting additional pressures on the private rental sector, particularly in and around the many universities and third-level institutions in urban areas, and puts actions in place to end the shortage. Inniu, spreagann Aontas na Mac Léinn in Éirinn úinéirí tí, a bhfuil fuílleach fairsinge acu, a seomraí folaimh a ligint ar cíos do mhic léinn le linn na bliana acadúla, toisc gur féidir leo €14,000 a thuilleadh gan cháin ó scéim ‘rent-a-room-relief’ atá ar fáil faoi láthair. Tá AMLÉ ag lainseáil an feachtas ‘Homes for Study’ le suíomh idirlín atá saor in aisce, homes.usi.ie, toisc gur léirigh taighde ón Aontas go bhfuil mac léinn amháin as deichniúr ag cur fúthu i lóistín neamhbhuan le clann, nó ‘digs’. Lean an tUasal Kerrigan ar aghaidh, ag rá, ‘Tá muid ag cur ina luí ar duine ar bith a bhfuil seomra folamh acu gur féidir leo clárú ar homes.usi.ie, agus gur bua ag gach taobh é an córas seo, go háirithe do thuismitheoirí a bhfuil a gcuid páistí ag freastal ar choláiste nó ag maireachtáil in áit eile. Tá meán-chostas an choláiste nó na hollscoile thart ar €12,500 agus má ligtear seomra amháin ar cíos do mhac léinn amháin, cuideofar go mór leis an chostas seo, toisc gur féidir leat €14,000 a thuilleadh gan cháin in aghaidh na bliana. Glacann an próiseas seo níos lú na cúig nóiméad ar líne ar homes.usi.ie agus is féidir leat cuidiú go mór le mic léinn atá ag iarraidh lóistín shásúil a fháil nach dtéann thar theorannacha a n-ioncaim mhíosúla. Léirigh taighde ó AMLÉ gur roghnaigh 59% de mhic léinn lóistín mar gheall ar chóngaracht do shuíomh an choláiste, bunaithe ar chostais réasúnta an lóistín. Le 75% de mhic léinn ag íoc as a bpócaí féin ar lóistín le linn na bliana acadúla, breathnaíonn AMLÉ ar lóistín le clann, nó ‘digs,’, mar réiteach ar ardchostais mhaireachtála do mhic léinn. Foilsíodh an Straitéis Náisiúnta um Lóistín do Mhic Léinn an tseachtain seo caite, a thug €160,000 do fheachtas AMLÉ Homes For Study agus don shuíomh idirlín homes.usi.ie. Léiríonn an Straitéis an tábhacht a bhaineann le lóistín bhreise a chur ar fáil do mhic léinn nach gcuirfidh brú sa bhreis ar an earnáil príobháideach cíosa, go háirithe thart ar na hollscoileanna agus institiúidí triú-léibhéail in áiteanna uirbeacha, agus a chuirfidh plean gníomhaíochta i bhfeidhm chun deireadh a chur leis an ganntanas lóistín.